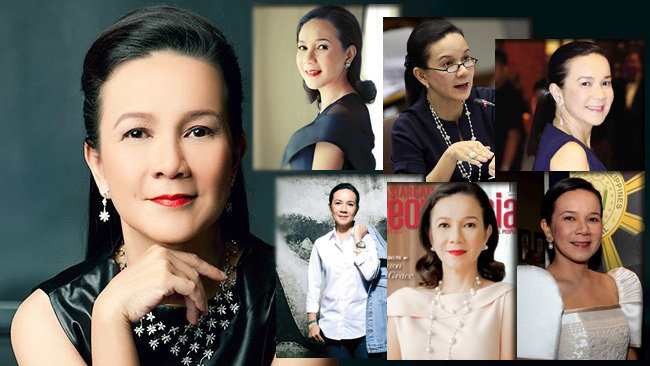 Hailing from Iloilo, Mary Grace Poe-Llmanzares or much better known as Senator Grace Poe, was legally adopted by the King and Queen of Philippine Movies, National Artist for Film Fernando Poe Jr., and Susan Roces. She was born on September 3, 1968 but was later abandoned by her unknown biological mother. Scanty reports say that she is the daughter of Former President Ferdinand Marcos and Susan Roces’ sister Rosemarie Sonora, but nevertheless, her love for her adopted parents never wavered at all. Her basic education was colourful as well as her parents’ career. Winning some oration contest and even became a captain of their schools’ debating team at Assumption College in San Lorenzo, Makati City. She also became a student council representative of her class when she took up Developmental Studies at University of the Philippines Manila, however, she moved to the US and finished her course in Political Science at Boston College where she remained and even became a pre-school teacher for Montessori School of Cedar Lane. Since she came from the family of royalty showbiz personalities, it is expected that she will be an actress just like her parents. Grace Poe managed to appear in some films of Da King like Durugin si Totoy Bato and Dugo ng Bayan. However, adhering to her fathers’ wishes to finish her studies first before jumping off on a showbiz career. The untimely death of Fernando Poe Jr. brought her home to the Philippines and managed to secure the patronage of President Benigno Aquino III in appointing her as chairman of the powerful MTRCB in 2010. After 2 years, she filed her candidacy and won a seat in the Senate of the Philippines.